Batcave Toy Room - Better Living Through Toy Collecting: What Would Batman Look Like if Picasso Painted Him? 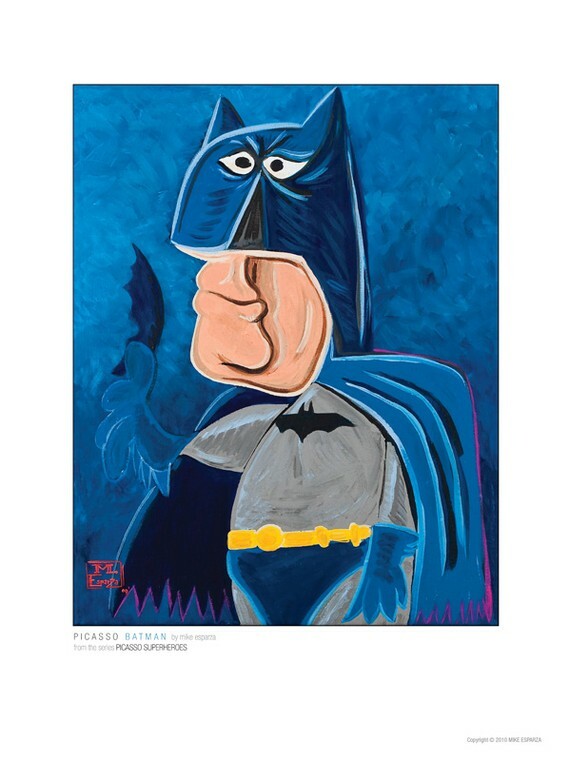 What Would Batman Look Like if Picasso Painted Him? This re-interpretation of The Dark Knight is from Mike and Matt from Wonder Bros. They sell this look at Batman along with several other Super Heroes over at Etsy. They come in both prints and postcards. Take a look. It could make someone a nice Christmas present. that is The Bomb! Cool!